Supervisors working in the field who want to look a bit more dressed up than the other workers but still require fire protection will certainly appreciate our line of Rasco longsleeve flame resistant dress shirts. This flame resistant blue checkered dress shirt is both stylish and functional. 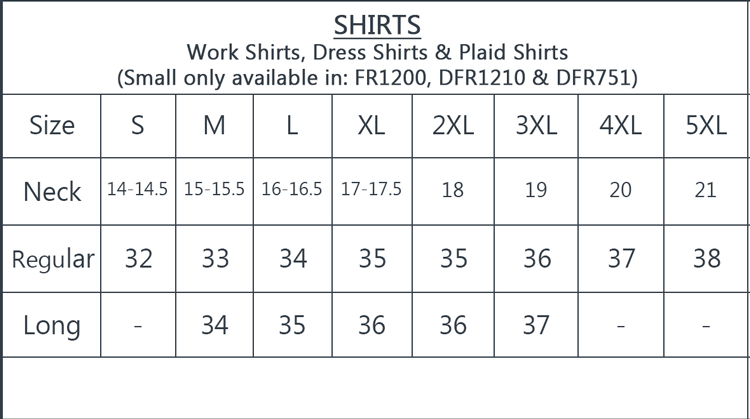 This Rasco FR dress shirt for men has an ATPV rating of 10 and carries an HRC 2 hazard classification. They're NFPA 70E compliant and also certified under OSHA 1910 and ASTM 1506. These flame resistant plaid dress shirts for men are made from 7.7-ounce 100% cotton and are comfortable to wear and retain their good looks with minimal maintenance. Colors stay sharp and rich looking, even after repeated washings. These flame resistant blue dress shirts are available in a wide range of sizes starting at medium and extending up to 5XL. Because they're 100% cotton and will experience some shrinkage when washed and dried, do yourself a favor and order a size or two larger than you would normally wear. This is a work shirt that doesn't really look like a work shirt but does its job well and looks good while doing it. A lot of FR shirts can be very heavy. This shirt is lighter in weight.